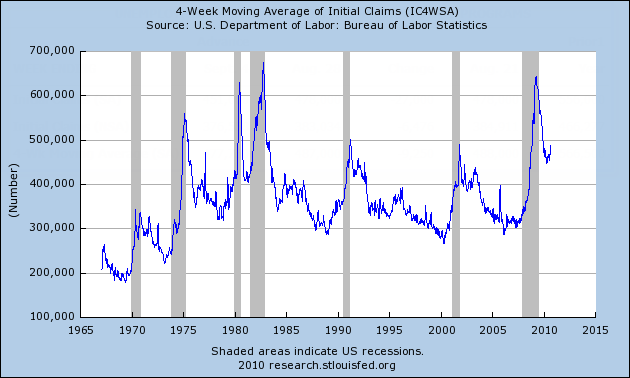 Unemployment Claims: How Bad are the “Real” Numbers? 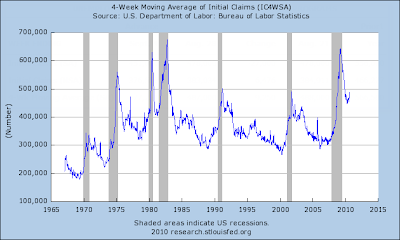 Unemployment Claims: How Bad are the "Real" Numbers? 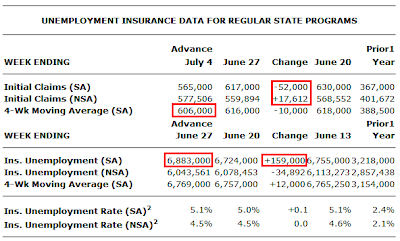 As noted in Continuing Claims Soar by 159,000 to New Record the record continuing claims number is dramatically understated by over 2.5 million. Charts of what is really happening are shown below but first let’s recap the data as reported by the Department of Labor. 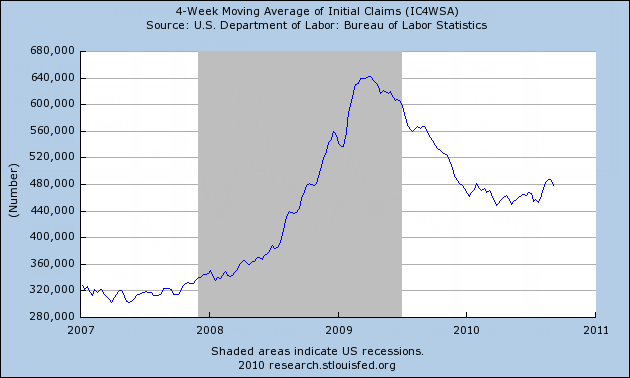 Here is a chart from Department of Labor Weekly Claims Report. The continuing claims number that mainsteam media focuses on is 6,883,000 as boxed in red above. 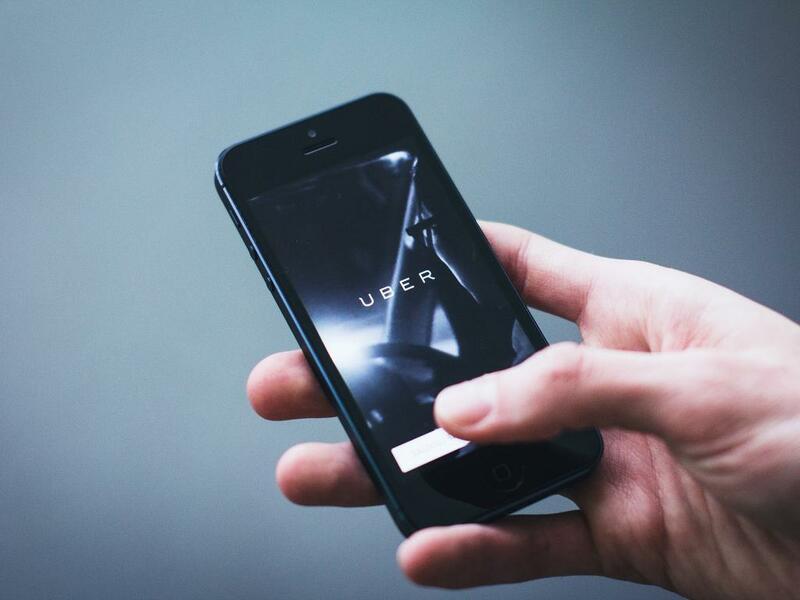 However, that number ignores extended benefits from the Emergency Unemployment Compensation (EUC) program. Those on extended benefits are not counted in the continuing claims numbers. 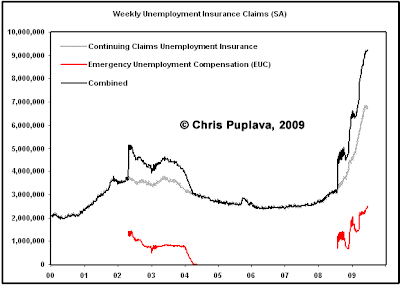 Inquiring minds may wish to consider the Emergency Unemployment Compensation (EUC) PDF. EUC is a federal emergency extension that can provide up to 33 additional weeks of unemployment benefits. The first payable week was the week of July 6-12, 2008. The original extension passed in July 2008 paid up to 13 weeks of additional benefits. Effective November 23, 2008, we can pay up to 7 additional weeks of benefits. Effective December 7, 2008, we can pay up to another 13 weeks of benefits. 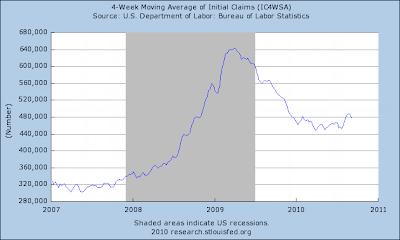 Adding 2.519 million from the above chart to 6.883 million from the second chart the current real total (assuming nothing else is missing) the current number receiving unemployment benefits is 9.4 million. I am unsure how Federal Employees, Newly discharged Veterans, the Railroad Retirement Borad, and especially the 346,559 Extended Benefit numbers fit into the EUC 2008 program, but I suspect all those numbers need to be added in as well, making the true count still higher. With that backdrop, here are some custom created charts courtesy of Chris Puplava at Financial Sense, based on my request. 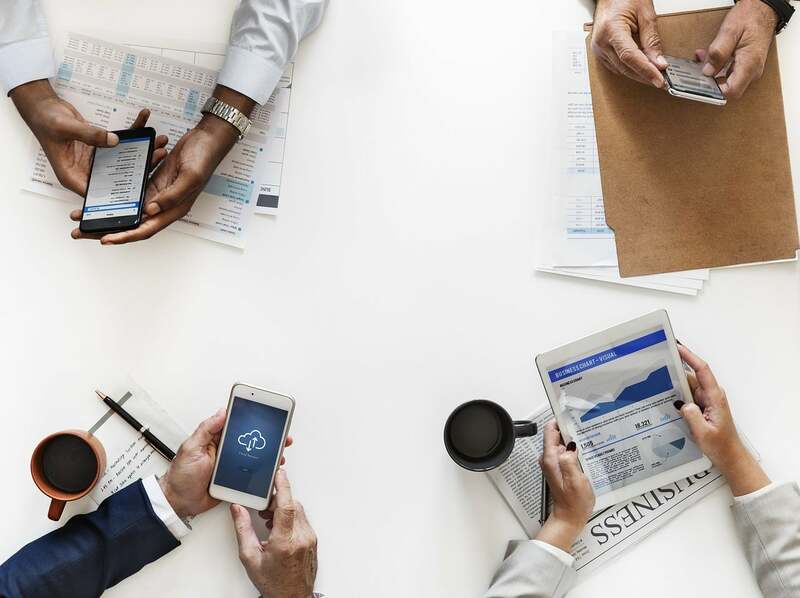 The charts show the effect of the EUC program over time.